Workshops Work! is a fantastic resource for parents and educators alike. Equal parts practical and philosophical, Workshops Work! is a great guide to the nuts and bolts of teaching writing in a child-centered atmosphere that will encourage the development of an authentic love of writing. Patricia writes with a great sense of humor and purpose, while also managing to outline the process of starting, structuring and making sustainable writer’s workshops that will benefit almost any kid. 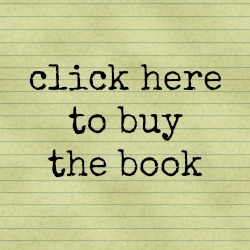 An indispensable new how-to for raising enthusiastic and life-long writers! Patricia Zaballos understands that kids won’t develop a love of and skill in writing if they’re coerced to write. Instead, she inspires them to write! Her workshops give kids a reason to write, such as having an audience and something to say. She creates a safe, supportive, peer-to-peer experience such as many adult writers benefit from, rather than the conventional top-down, assigned topic approach characteristic of so many school situations. It’s wonderfully respectful of children and their writing – and it works! 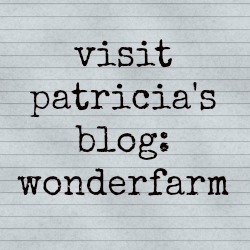 Patricia shares how to facilitate such an experience in her new book Workshops Work! It’s a great resource. Workshops Work! provides inspiration and the nitty gritty details to help anyone establish a writer’s workshop. The book is geared toward adults who are working with kids, but you could just as easily use this book to establish an adult writer’s workshop. It’s full of wonderful nuggets that will not only help writers and writing teachers respond and help their students respond more effectively to workshops, but will help us respond more effectively and empathetically to each other out in the world, in daily life. That’s an unexpected gift in this book. Workshops Work! shows parents, teachers, tutors, and other writing workshop leaders the important human qualities needed to develop young writers: patience, enthusiasm, and empathy. Patricia Zaballos draws from a deep well of experience to share her best methods and tips for helping kids of all ages enjoy writing while learning about themselves and exploring their own interests. Patricia Zaballos’ book gave me the courage, tools and inspiration to start a young writers’ workshop with my local homeschool group. The in-depth explanations of the nitty gritty details of running a workshop, advice on handling potential problems, and abundance of resources and activities prepared me to facilitate a successful session with enthusiastic kids, who are ready to come back next week and write! Patricia makes kids want to write! I wish I had her guide to writing workshops when I was teaching; it’s packed with everything a homeschooling parent or classroom teacher needs to make writing easy, stress-free, and pleasurable using a workshop approach. This is the essential guide for teaching writing to kids. Patricia knows her stuff. I wish I could be in her workshops, too! I highly recommend this book. Patricia’s book, like her blog, challenges us to think beyond grammar, spelling, punctuation, and vocabulary. She inspires us to grow writers, not just teach writing. If you are like me, wondering how to inspire writing in your children, I enthusiastically recommend Workshops Work! The book addresses one of the key issues in helping our children to become writers – creating an audience for their work. Let’s face it, as shy as we may be, deep down, writers want to share their work. So do your kids. Writer’s workshops are one way for you to create an authentic (and supportive) audience for your children’s writing. Patricia has years of experience facilitating writer’s workshops for kids. She has taken that wisdom, plus her personal story as a homeschooling mother of three, and written a fabulous how-to manual for those of us new to writer’s workshops. She walks us through the entire process, providing a whole toolkit of ideas, examples, and anecdotes to get us going. Do you want to inspire and support meaningful writing in your homeschool? 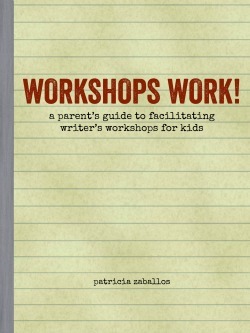 Consider the role of writer’s workshops for kids and use Patricia’s book as your guide.